HEALING (PODCAST + TEXT) « Apostle Talk: Future News Now! The scope of this teaching is NOT to discuss specific types of therapy or treatments, but rather to present an alternative solution to problems that you or a loved one may be experiencing with back related issues.You can be healed today…NOW…by calling on the name of the LORD: Who forgives all your sins, and Who heals all your diseases [Psalm 103:3] The LORD’s healing nature never changes. It is God’s will to heal you! Finally, I began to wonder if the situation was NOT a physical problem, but possibly a “spirit” problem; in other words, a “spirit of affliction” sent by the devil to plague me while I was trying to do God’s work! To give you an idea of how bad the situation was, if I were in a business environment where I had never been before, I would look to see if the receptionist stepped out of the office so I could lie on the floor and “crack” my back. I was miserable! One day as I was on the floor ready to “crack” my back, the Holy Spirit spoke to me. He said, “Why don’t you let me take care of that for you? !” Wow! I knew exactly what He meant. Instead of ME trying to fix the problem and compounding it each time I “cracked” my back, the Holy Spirit wanted to FIX it. It was such a temptation because when – and immediately after – I would “crack” my back, I would feel so much better … until it started hurting again! I really had to resist “cracking” my back … but realized at the same time, I didn’t want to go through that all of my life. So … I said, “OK, Holy Spirit, I give this problem – this back condition – to You!” That was it, it was over. PRAISE GOD! That was many years ago. CHECK THIS OUT: An Egyptian friend of mine, Magdy Girgis, was a member of our Board of Directors. He worked for Hughes Aircraft as did several Christians who had been Baptized in the Holy Spirit, all of which spoke in tongues. They had Bible studies together every morning before work and also at luch time. One day a man named Warren Meisenbach, who worked in the Engineering Department, came to their Bible study at lunch. Warren was NOT a believer and he asked them, “What’s this born again stuff you keep talking about?” Warren had been a “hunch back” for 15 years (like the lady in the Bible I discussed earlier who had been bent over 18 years). Warren received Christ as his Lord that day, and asked the men to lay hands on him for healing. Instantly … they could hear his back “cracking’ like: POP, POP, POP. He was perfectly straightend in a normal position. (See Note #3 at bottom to listen to a podcast of this MIRACLE.) When he went home his wife was dumbfounded because he was not only “straightened” but smiling for the first time in years! Jesus is the Healer … the Great Physician. Will you let Him heal YOU? “Messiah Jesus, I know that you are The Great Physician. You loved me enough to shed your sinless blood and die for me on the cross stake that I might be healed. 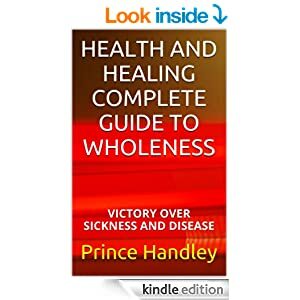 The real life story of Prince Handley when he was stabbed with a knife by two men who tried to rob him. 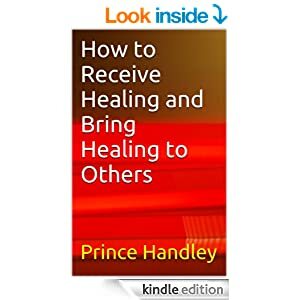 How God spoke to a person in a laundromat to go pray for Prince Handley (the person did not know him) and the miraculous healing that resulted. Plus, eleven people gave their lives to the Lord in the hospital. In 1969 I dedicated six weeks from before Thanksgiving through the end of the year to do open air evangelism in Los Angeles. The Lord blessed me greatly during that time with many opportunities to fast, and the power of God was manifested wonderfully with thousands of people being reached daily. At the end of this period I was very weary and decided to visit some friends in a city about two hours away. I was there two days, rested, and returned to Los Angeles at night. As I was walking in the center of the city, I was faced with a decision. I knew if I walked in the same direction I was going that in about two blocks I would find Christian friends holding an open air meeting and I could preach with them. But I made a BAD decision. I decided to turn left and go down a dark street … away from the Christians. I not only turned away from PHYSICAL light, but I turned away from SPIRITUAL light. There is nothing wrong with resting, but that night I turned away from a great opportunity to reach many more people for Christ, and also to be an encouragement to brothers and sisters on the front lines for Messiah. As I was walking down the dark street two men began to follow me and then one stepped beside me. I knew they were up to mischief so I started praising God. Then one of the men stabbed me with a knife. He stabbed me hard in the abdomen near my navel and drove the knife in deeply. They tried to get my billfold (wallet) but couldn’t. It only had $12 in it anyway! I was still standing, and I began to pray for them. I reached into my suit pocket, grabbed two little red Bibles and placed them into their hands. They threw them into the street and the man who stabbed me held the knife up to my face so I could see the blood on it (as though I didn’t know what happened). I bent over and picked up the little red Bibles from the street and tried to put them into their hands again. The man who had stabbed me tried to stab me again but couldn’t … God’s angels wouldn’t let him. I made my way into a Mexican restaurant and tried to tell people what had happened; however, nobody spoke English. Finally, I lifted up my sweater that I was wearing under the suit coat, and showed them the blood. Then I started experiencing the most horrible pain I could ever imagine. I never knew there was pain like that! I lay down on a booth seat in the restaurant and couldn’t get the pain to stop even by pulling my legs up tight. It felt like sand was tearing through my body. It seemed like nobody was doing anything … it seemed like eternity … but finally an emergency ambulance arrived. When they put me in the ambulance I just wanted to hold someone’s hand and I tried to hold the hand of the person in uniform – I don’t know if it was a policeman or EMT paramedic – but that person wouldn’t hold my hand. I remember coming to consciousness a few times on a gurney in the hallway of the hospital... still in pain. Later I was told that there were so many stabbings, shootings, assaults, and accidents that Sunday night that they couldn’t get to me for six (6) hours. I didn’t know there was such pain as that. When I finally woke up after surgery I started praising God. I was so glad not to feel the terrible pain I had experienced. I was under heavy medication and was in a room with about 10 to 15 other men. One man had been stabbed in the head several times with sharp sticks by a street gang. Others had been shot and stabbed. One man had been shot four times with a 38-caliber revolver pistol – three times in the chest and the fourth just missed his jugular vein. I was the worst case there, however, and I had a nurse stationed permanently by my bedside. There were four tubes running in and out of my body: providing blood, nourishment, and drainage. When I became conscious, I started praising God, and the nurse said to me, “Sir, do you know where you’re at?” I said, “Yes, I’m in the hospital! Praise God!” Then she said, “Do you know what happened to you?” And I said, “Yes, I just had surgery. I was stabbed! Praise God!” It felt so good to have that pain relieved! Nobody knew I was in the hospital. I don’t remember if it was a few minutes or a few hours after becoming conscious, but I began to experience a very serious spiritual battle at that time. It was like Satan and demons were on my left side … and God and the Holy Angels on my right side. It was as though Satan was trying to take my soul out of my body. I was tempted to just relax and go ahead and die … or to relax and just let the drugs that were going through my body take over. The man in the laundry came to the hospital, went up the elevator to the ninth floor, walked into the 9300 ward, came straight to my bed, and said, “Brother, the Lord Jesus Christ raised me from death one time, and He has sent me to pray for you that you might be healed.” He then laid his hands upon me and prayed for me, “Lord Jesus, heal my brother!” … turned around and walked away. A group of six to eight young interns were with other doctors who were examining me and the other patients on the ward the next day. I told the doctor I had been healed and wanted something to eat … like a steak! He didn’t take me seriously and told me that if I could pass a bowel movement that he would order me something to eat. He told me that because I had several holes in my intestines as a result of the knife stab. Later, I think the next day, I went to the restroom successfully. I also snuck out of the ward and took IV’s and fluids that were being pumped into my body — they were mounted on stands with rollers – with me. I went into another area of the hospital and started exercising. But then, a doctor recognized me and yelled at me, “What are you doing?” I said, “I’m exercising.” He said, “Don’t you know that you can rip all that silk we put in you?” (Meaning, I guess, the sutures with which they had stitched me.) Then, I told him, “I just did 21 deep knee bends!” After that, I think I was ordered to return to the (trauma) ward. In a couple of days friends found that I was in the hospital. Reverend Al Hovey, from the Church of the Open Door, who was on staff with Dr. J. Vernon McGee, and other Christians from the Los Angeles Full Gospel Tabernacle, came to visit. Eleven people on the ward (seven patients and four nurses) received Messiah Jesus. While I was in the hospital I received two (2) scriptures from two different people. One was from a man 1500 miles away, whom I had never met, but who was a friend of my brother. That scripture was Psalm 91 … which I have claimed almost every day of my life since! The other scripture was from a classmate with whom I had attended graduate school in theological seminary. It was Philippians 3:10. I had read that verse many times, and always focused on the “power of His resurrection” but never on the “fellowship of His sufferings.” Then I thought back about the six hours I was in such horrible pain waiting in the hallway of the hospital for surgery. And I thought about my Savior, the Lord Jesus Christ – God’s only Son – who hung on a wooden cross stake SIX HOURS for me. He went through horrible pain to take my sins upon Him … that I might be FREE! However … He did it WILLINGLY … for me, for you, and for everyone in the world: to pay for our sins … a GIFT of forgiveness … a NEW START for all who will receive Him by faith! I walked out of the hospital by myself in six days, got on a bus, and went immediately to go preach at Broadway and 6th Avenue proclaiming the Good News of Messiah Jesus who SAVES and HEALS! I still look at my scar at times … it’s at least nine inches long … and then I think of how some day I will SEE the scars in a Jewish rabbi who loved me enough to die for me: so that I can LIVE FOREVER in Heaven with Him and His Father!